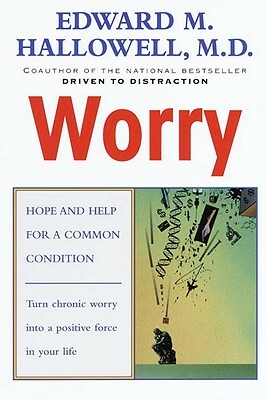 Here is the first book to explore every facet of the most common and debilitating emotional state: worry. While a healthy level of worry can help us perform efficiently at work, anticipate dangers, and learn from past errors, in its extreme forms worry can become "toxic"--poisoning our pleasures, sabotaging our achievements, and preventing us from resolving actual problems. In this lucid, reassuring book, Dr. Hallowell discusses all types of worry, explores their underlying causes, and considers the best strategies for coping. Case histories and anecdotes illuminate such issues as worry in relationships; the correlation between worry and conditions like , depression, social phobia, generalized anxiety disorder, and obsessive-compulsive disorder; worry at work; and the worried child. In an effective section titled "Remedies That Work," Dr. Hallowell shows us how to evaluate, control, and manage worry, both with and without medication. Even "born" worriers can learn to use their worry wisely and channel it healthily. This book is the key. Filled with practical solutions and insightful guidance, Worry is an invaluable aid to living a happier, calmer, and more rewarding emotional life.